Having a look to this reference video for a possible project I get to work on it. At the beginning I tried to get something similar in RealFlow using a simple set up with filter daemons and supported by some python scripting which generate some trail particles, the main concept was to get three layers of fluids, water, snow and vapour to render them later using Render Kit. Once finished the simulation I started to test with Mental ray/Render Kit using Mesher, Particler and Cloud in Maya. Although I did not spend a lot of time on the vapour particles to get a good behaviour as mist I think it could get better results transferring the particles to a Mist Domain with a high-resolution to obtain a good volumetric effect. The fact is you can get really good results using Maya Fluids and RealFlow simulations, in this example I used two layers of particles rendered by using RFRK and another layer using the snow particles from RealFlow as Fluid emitter in Maya. I want thanks to Florian Koebisch from NextLimit forum his advises about Maya Fluids. I can`t render mesh or particles with RenderKit. 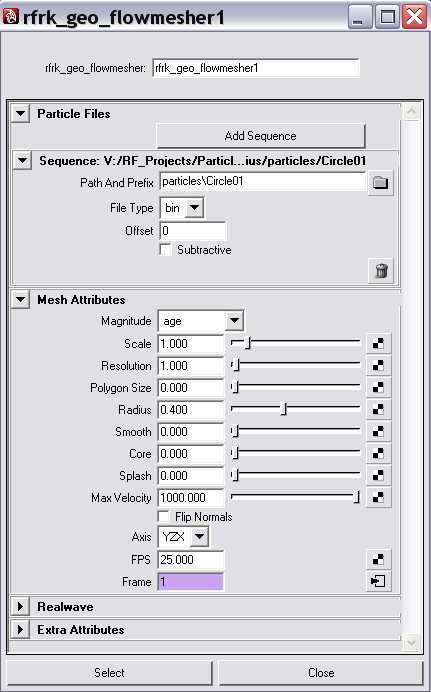 If you are working with RFRK2 make sure you choose the correct icon to import the particles bins, in some occasions you press by error the RFRK1 icon, this makes the render ask for a license of RFRK1. 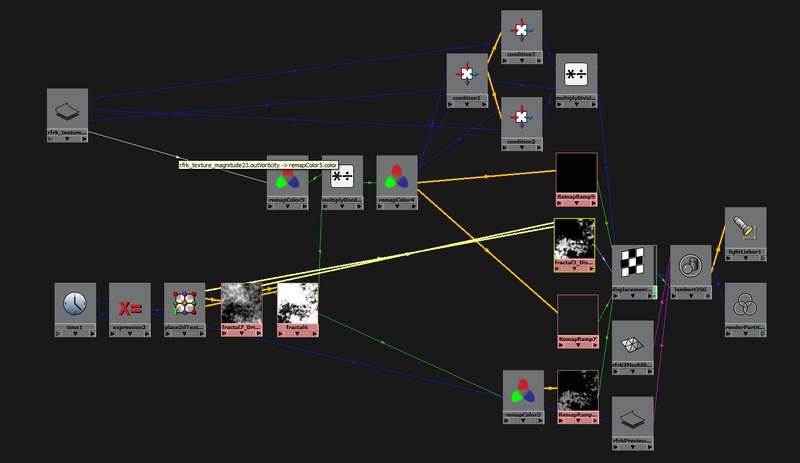 The differences between both nodes in the Attribute Editor are big but sometimes you do not realize.